Land surveyors play an integral role in land development from the planning and design of land subdivisions through to the final construction of roads, utilities, and landscaping. A land survey is performed for the purpose of locating, describing, and mapping the features of a parcel of land which may include mapping the boundaries and corners, the topography, and the location of buildings or other improvements upon the parcel. Surveyors will frequently work outdoors, carry equipment over uneven terrain, and maintain their equipment and vehicle. 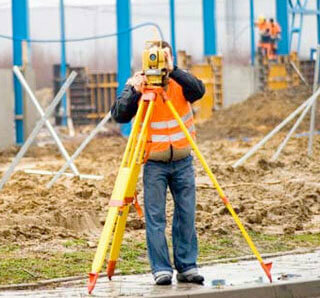 Surveyors will become skilled at using distance-measuring equipment, land-information computer systems, and perform calculations to determine angles, elevation, and distance.